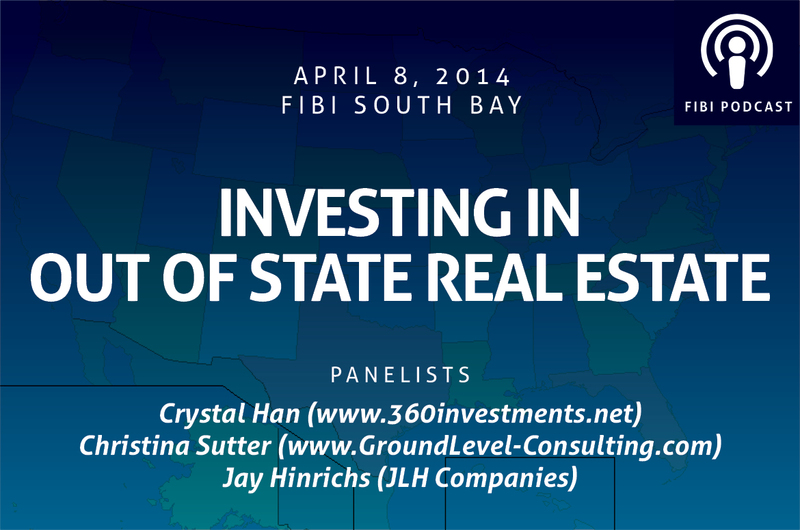 On April 8, 2014, FIBI South Bay brought together expert panelists Crystal Han (www.360investments.net), Christina Sutter (www.GroundLevel-Consulting.com) and Jay Hinrichs (JLH Companies, a Peer to Peer Group Investment Firm) to discuss investing in properties outside of California. Download this podcast and listen in for in depth conversation from the panelists who provide valuable information including what areas and items to focus on and what to avoid when investing in out of state properties. Many valuable lessons for those who focus on non California rentals!